Distracted driving is a problem for drivers of all ages but especially teen and young adult drivers. The Governor’s Office of Highway Safety is proud to partner with Ford Driving Skills for Life and Georgia Public Broadcasting to show teen drivers just how dangerous it is when they are not paying attention to the road. Students from the two schools playing in GPB’s high school football game of the week will take part in FDSL’s distracted driving course. The students riding with an instructor have to make their way through the specifically designed course during which they have to attempt to send a text message. GPB’s cameras recorded all the action outside and inside the cars and you can watch the results at 7:00 p.m. every Friday night. We can’t give away the ending but all of the students and one parent who took part all said it was an eye-opening experience. It was not the grade GPB Sports Chelsea Tafoya thought she would earn on the Ford Driving Skills for Life driver safety course. Watch to see how an often overlooked distraction could have had deadly consequences had Chelsea been on the road. Twins Preston and Kathryn Crawford both made bold predictions before they got behind the wheel about their ability to text & drive. Watch the Ford Driving Skills for Life Driver Safety Course teach both brother and sister why we call need to drive alert. 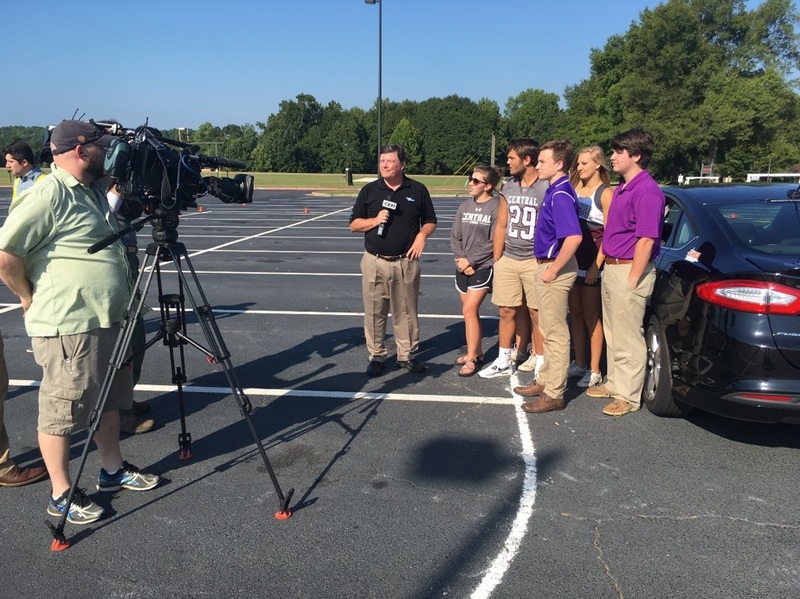 Students from Cherokee High and Stratford Academy learn how difficult the Ford Driving Skills for Life teen driver safety course can be in the latest segment that airs every Friday at 7:00 p.m. on GPB. We are thankful that Ford Driving Skills for Life is a partner in our HeadsUPGeorgia campaign with GPB. Find out more about this program that teaches safe driving to drivers of all ages around the world. 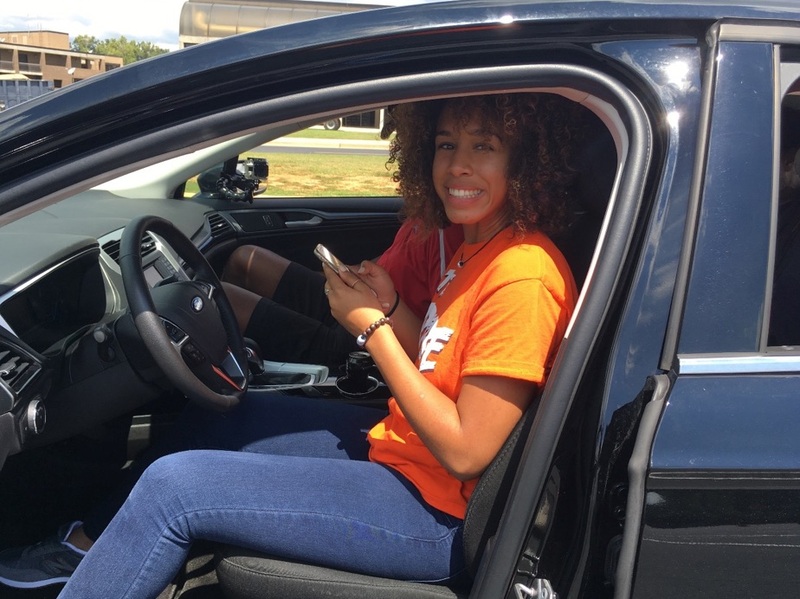 You will not believe what our drivers couldn't see on the Ford Driving Skills for Life distracted driving course when students Starr's Mills and Lee County High learn about the dangers of texting and driving. Watch GPB Sports every Friday at 7:00 p.m. to see two more teen drivers learn why we all need to put our phones down while driving. Watch a special edition of the Ford Driving Skills for Life distracted driving competition with student and teacher both learning about the dangers of distracted driving. The Ford Driving Skills for Life Teen Safe Driving Learning Course is back on Friday nights before GPB Sports Georgia High School Football Game of the Week. Our week 1 students learned there are some new twists in the course that shows drivers of all ages the importance of driving alert and buckled at all times. Calling all students! Please submit a 30 second public service announcement on distracted driving prevention. The winning entry will air during the state championship football games in December!